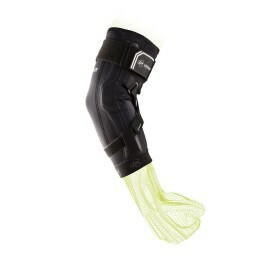 Made of perforated, breathable, rubber-like neoprene, it provides more stability and comfort. Most Running and Walking injuries occur in the lower half of the body and are typically soft tissue in nature. These injuries often require rest, ice, compression and elevation to support an active healing process. 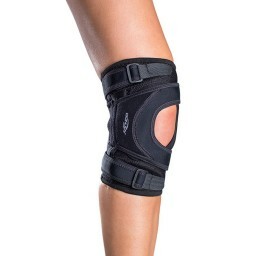 Beyond this standard care, bracing, supports, sleeves, and other sports med products should be used as directed to protect against further damage, prevent additional injury, speed recovery and keep runners and walkers moving with optimal efficiency as you return to exercise and activity when ready. Common running injuries include but are not limited to: Runner’s Knee (Patellofemoral Syndrome), Patellar Tendonitis, Shin Splints (Anterior Tendonitis/Tibial Stress Syndrome), Achilles Tendinopathy, Plantar Fasciitis, Upper leg strains, Calf strains and even various stress fractures which develop from cumulative strain on the skeletal system. 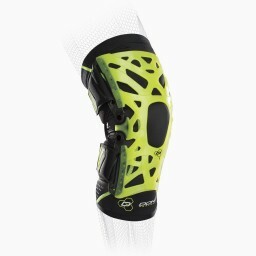 DonJoy Performance knee braces or knee straps, ankle and calf sleeves can help support your body during injury or be used for prevention. We recommend the following braces below for running based on injury.